We didn't give Montreal a chance. Not because we didn't like it—it seemed like a nice town—but all four of us were down in the dumps at the prospect of our year-long adventure coming to an end. We didn't take many photos, and we didn't really venture out to explore the city like we had done previously in our travels. More than any other time on this trip, the two full days we spent here felt more like we were just marking time, waiting until we had to board our flight back the the United States. And that made us sad. Although we didn't explore Montreal like we would have liked, we did get out and wander a bit. A short walk from our hotel, we stumbled across the Place D'Armes, one of the oldest public squares in the city. The most notable building bordering the square is the Notre-Dame Basilica. This was the third Notre-Dame that we'd visited—the first being Notre Dame in Paris, naturally, and the second being Notre-Dame Luxembourg City. While the one in Luxembourg didn't look at all like the one in Paris, this one in Montreal was designed in the Gothic revival style and bore a striking resemblance to the church in Paris. A statue of Paul Chomedey de Maisonneuve, the founder of Montreal that dates back to 1895, sits in the center of the square. The Place d'Armes also features a bronze statue depicting a mime holding a poodle called The French Poodle. We thought this one was pretty funny. Our two days in Montreal can best be summarized with food. We figured you can't really visit Canada without trying some serious poutine, and Samantha found a place called La Banquise that was said to serve some mighty fine poutine. So off we went. We'd also heard a lot about the legendary bagels of Montreal. Some say they're even better than New York bagels (which is a pretty bold claim). So the next morning, we walked to the Mile End neighborhood—right through some outdoor comedy festival by the name of Laugh Out Loud—to get some of the hand-rolled bagels sold at the St. Viateur Bagel Shop. St. Viateur Bagel Shop, a Montreal institution. This local bagel shop was started by Jewish immigrant (and holocaust survivor) Mayer Lewkowicz in 1957 and has been slinging fresh handmade bagels to lucky Montrealers ever since. When Lewkowicz died in 1994, long-time shop employee Joe Morena took over, expanding the business throughout the city while remaining true to its neighborhood roots. 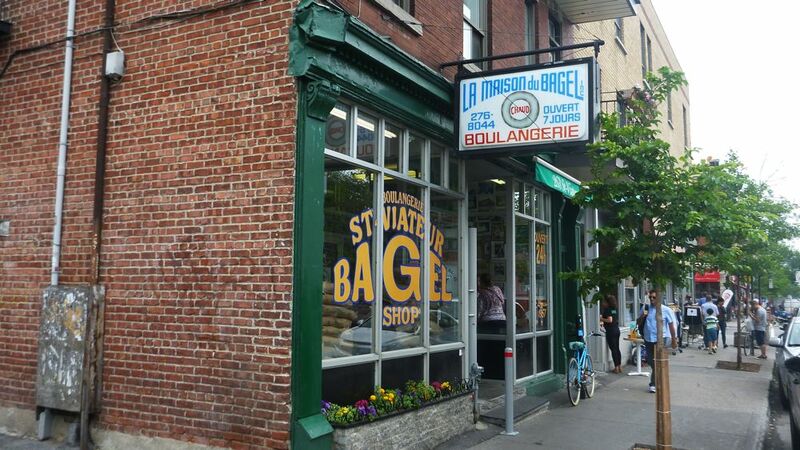 Are St. Viateur Bagels better than New York bagels? I'm not about to get into that debate. But these were some pretty good bagels. Aside from that, we walked around Montreal a little more, checking out the Old Port district (which was pretty vibrant), and doing a little shopping—picking up a pair of shoes for Jackie and yet another pair of cheap sunglasses for me. As the day ended and we wandered back to our hotel, we were filled with a mix of sadness and excitement. 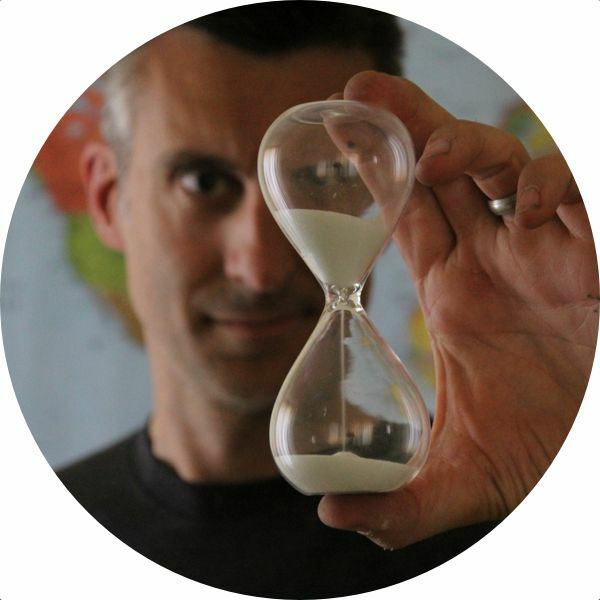 The next day would be the final day of our trip around the world. It had been a fantastic experience, and we weren't quite ready for it to end.